Harris, Carolyn. "Andrew Archibald Macdonald". The Canadian Encyclopedia, 28 September 2015, Historica Canada. https://www.thecanadianencyclopedia.ca/en/article/andrew-archibald-macdonald. Accessed 21 April 2019. 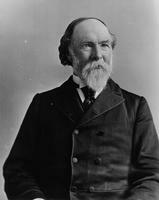 Andrew Archibald Macdonald, politician, businessman (born 14 February 1829 in Brudenell Point, PE; died 21 March 1912 in Ottawa, ON). Andrew Archibald Macdonald was one of the Prince Edward Island delegates to the Charlottetown and Québec Conferences that preceded Confederation. Though initially opposed to a federal union, Macdonald changed his mind after the Island faced bankruptcy from its railway debt. He thereafter supported Prince Edward Island’s entry into Confederation as Canada’s seventh province in 1873. Andrew Archibald Macdonald was born to an affluent family in central Kings County, Prince Edward Island. His grandfather, also named Andrew, emigrated from Scotland in 1806 and purchased 10,000 acres of land in the Three Rivers region of eastern Prince Edward Island, as well as on Panmure Island, where he settled with his family. Andrew established a shipbuilding and timber business in the Georgetown harbour, which he passed down to his sons Hugh and Angus (Andrew Archibald’s father and uncle, respectively). In 1863, Macdonald married Elizabeth Lee Owen. Her father, Thomas Owen, was Prince Edward Island’s first postmaster general. They had four sons. The marriage was unusual for its time because Macdonald was Roman Catholic and Owen belonged to the Church of England — there was little intermarriage between members of these two Churches in 19th-century Prince Edward Island. Andrew Archibald Macdonald entered Island politics, as had his father and uncle before him. In June 1854, at age 25, he won a seat in the Prince Edward Island House of Assembly for the Liberal party, representing Georgetown. During his time in the House, he presented concise, reasoned arguments and expressed a strong desire to follow the interests of his constituents. He favoured peaceful land reform that would ultimately end the Island’s leasehold system, which concentrated land ownership in the hands of a small number of prominent families (see PEI Land Question). 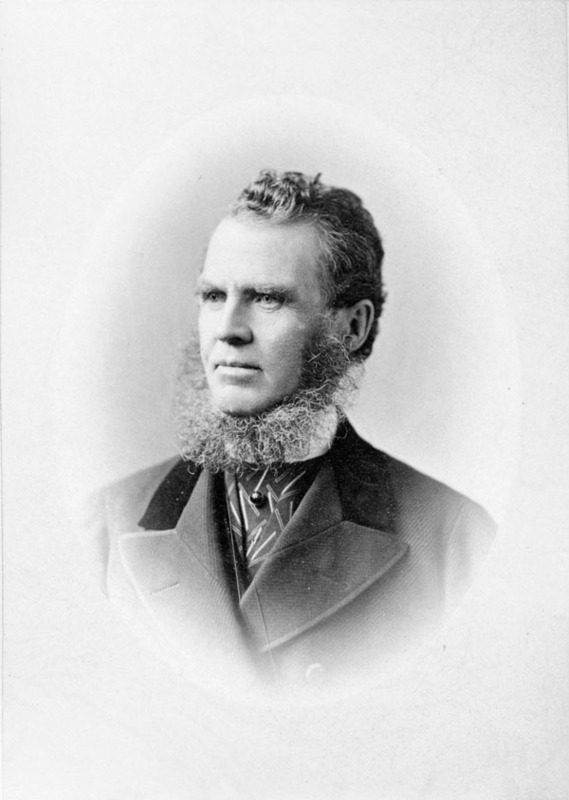 A number of electoral setbacks, notably in the bitter anti-Catholic election of 1863, challenged Macdonald’s perseverance, but he was returned to the Legislative Council, becoming leader of the Opposition in 1864. In 1867, Macdonald became a member of the Executive Council — where he served until 1873. Andrew Archibald Macdonald was one of the five Island delegates sent to the Charlottetown Conference and one of seven representatives sent to the Québec Conference in 1864. Historian G. Edward MacDonald suggests that, “Besides his novel suggestion that each province should have equal representation in the proposed federal upper house, he played a minor role in the deliberations.” Macdonald did, however, keep abbreviated, unofficial minutes of the proceedings. They capture the often conflicting interests of the various regional delegates. For instance, Macdonald observed in his notes on the Québec Conference that Newfoundland delegate Frederic Carter expressed hope that Confederation would dissuade wealthy fish merchants from "retir[ing] to the Old Country to spend their fortunes." Macdonald had changed his stance regarding Confederation by the end of the Québec Conference. He argued that Prince Edward Island did not stand to gain very much from union as it would be taxed at both the federal and provincial level. However, when the colony's railway debt became insurmountable in the early 1870s, Macdonald was converted to Confederation. On 26 May 1873, he moved the adoption of Prince Edward Island’s final terms of union in the colony’s Legislative Council. Just over one month later, on 1 July 1873, Prince Edward Island joined Confederation as Canada’s seventh province. Following Prince Edward Island’s entry into Confederation, Macdonald became postmaster general. His brother-in-law, Lemuel Owen, became Prince Edward Island’s first post-Confederation premier and placed Macdonald in charge of overseeing the liquidation of the remaining leasehold estates in the province. In August 1884, Macdonald was appointed lieutenant-governor of Prince Edward Island. He was appointed to the Senate in 1891, a position he held until his death in 1912. Macdonald’s conception of the Senate — as an upper house where all provinces have equal representation — informs the current composition of the Senate, which allocates equal seats to four regions: Ontario, Québec, the western provinces and the Maritime Provinces (Newfoundland and Labrador, Northwest Territories, Yukon and Nunavut together have nine seats). Macdonald outlived all of the Fathers of Confederation — save Sir Charles Tupper — and wrote extensively about his experiences at the Confederation conferences in the last decade of his life.